Huge 3204 square feet shop that has 1 bedroom, 1 bath with a large walk in shower. 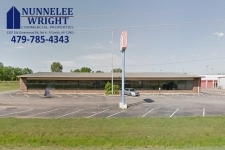 Big Box Retail Space on HWY 71S! Total acreage of 17.45. 3 Parcels associated with this sale: 76515168000 , 76515169001, 76515167000. RARE OPPORTUNITY TO OWN YOUR VERY OWN PARK. Instant Revenue Generator w Existing Dental Practice and roofing company! Looking for a great investment Opportunity? Check out this pristine, 3 bdrm 2 bath townhome duplex! Wide open floor plan, additional back room storage, lots of parking and easy access. This space offers showroom, offices and back room work area or storage. Vacant commercial lot located near the Mall at Turtle Creek. The house will make an excellent law office or bail bonds office. Scenic Arkansas beauty at it's finest. 61 acres along the Arkansas River. 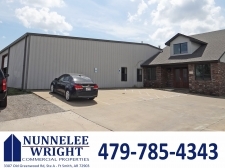 Perfect business location with high visibility along busy Hwy 7 North.